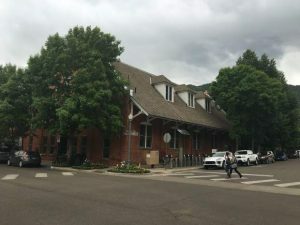 The Lake Christine Fire posed a threat to downtown Basalt on July 4. Business slumped in the town into August, according to a sales tax report. 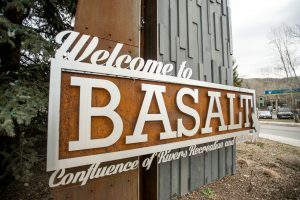 Basalt businesses took a hit starting in late July apparently from the effects of the Lake Christine Fire. Sales tax revenue for September, which reflect actual sales from “late July” into late August, was down 23.6 percent compared with the same period the year before, according to a report prepared by Basalt Finance Director Christy Hamrick. The town collected $502,259 in September compared with $657,443 the year before, the report showed. Town Manager Ryan Mahoney said he believes the ongoing fire convinced some travelers and second-home owners to skip visiting the midvalley. 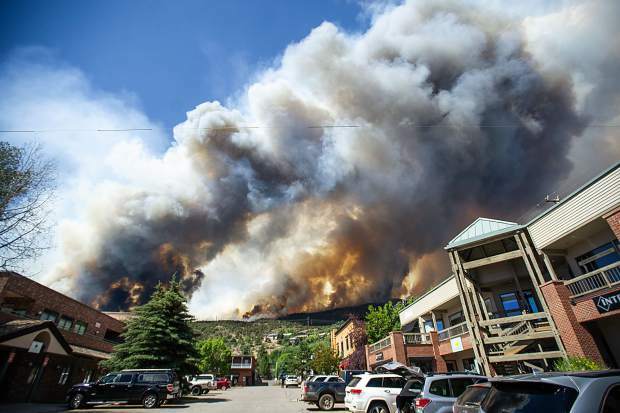 Some locals also left temporarily because of smoke hanging in the valley from the Lake Christine Fire and other wildland fires throughout Colorado and the West. “I think people got fed up with the smoke,” he said late last week. Perhaps counterintuitively, business didn’t slump immediately after the fire. The sales tax collections for August, which reflect actual sales from late June to late July, were up, “even though the fire was here,” Mahoney said. His theory is the presence of hundreds of federal firefighters buoyed sales of food at Basalt’s grocery stores and restaurants in the weeks right after the fire broke out July 3. The number of federal firefighters swelled to more than 500 by mid-July. 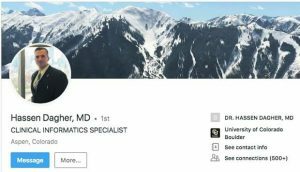 The Rocky Mountain Area Type 2 Incident Management Team Black departed July 31 and the number of federal firefighters fell to about 50. That coincides with sales falling flat at midvalley grocery stores. Sales tax revenue from grocery stores was down 47.5 percent for the period starting in late July, according to Hamrick’s report. Sales at restaurants with bars were off 10 percent from the prior year while sales by restaurants without bars were down 13.6 percent. Lodging revenue was down 23.2 percent for the period starting in late July. General retail stores held their own during that period. Sales were 9.8 percent compared with the year before. However, sporting goods sales were down 8.8 percent. Retail liquor sales soared in the midvalley from late July to late August. They were up 26.3 percent. Geoffrey Hasley, general manager and chief operating officer for the Roaring Fork Club in Basalt, said some members of the golf and fishing club avoided visits during the first half of July. Sales tax revenue was back to normal in the October report, which reflects actual sales from late August to late September. Taxes collected by the town in October were up 2.1 percent compared with the year before. The town collected $450,497 this year compared with $441,438 in 2017, according to Hamrick’s report. For the year-to-date through October, the town’s sales tax collections are up 2.4 percent. The town has collected $4.49 million so far this year compared with $4.38 million last year.